Get in touch with nature at St. Kilda Beach and Balloon Rides. Attractions like Melbourne Museum and Old Melbourne Gaol make great kid-friendly stops. 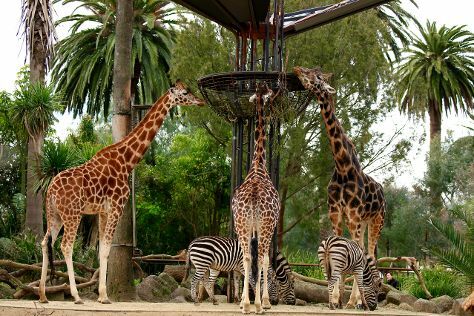 Change things up with a short trip to Werribee Open Range Zoo in Werribee (about 42 minutes away). Spend the 27th (Mon) wandering through the wild on a nature and wildlife tour. There's much more to do: admire the landmark architecture of Shrine of Remembrance, wander the streets of Melbourne Central, take in panoramic vistas at Eureka Skydeck 88, and admire the masterpieces at National Gallery of Victoria. To find photos, where to stay, more things to do, and other tourist information, go to the Melbourne trip itinerary website . If you are flying in from Malaysia, the closest major airport is Melbourne International Airport. Expect a daytime high around 20°C in May, and nighttime lows around 9°C. Cap off your sightseeing on the 29th (Wed) early enough to travel back home.